Congratulations to Sileby RFC for a warm welcome to their new ground and opening matches on Saturday. It has been a remarkable journey for Sileby and those involved in getting a club off the ground and up and running so quickly deserve praise. This is what grassroots sport is all about – the hard work of eager volunteers. We always start the season slowly – but I am sure the lads will respond and we will do well this season. Certainly after the game nobody was too downhearted. 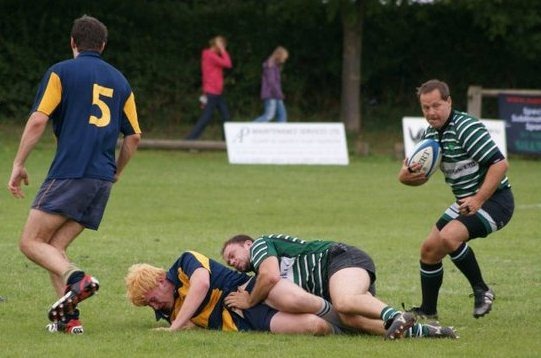 This entry was posted in Sport and tagged birstall RFC, Loughborough RFC, rugby, sileby RFC by andyreednet. Bookmark the permalink.